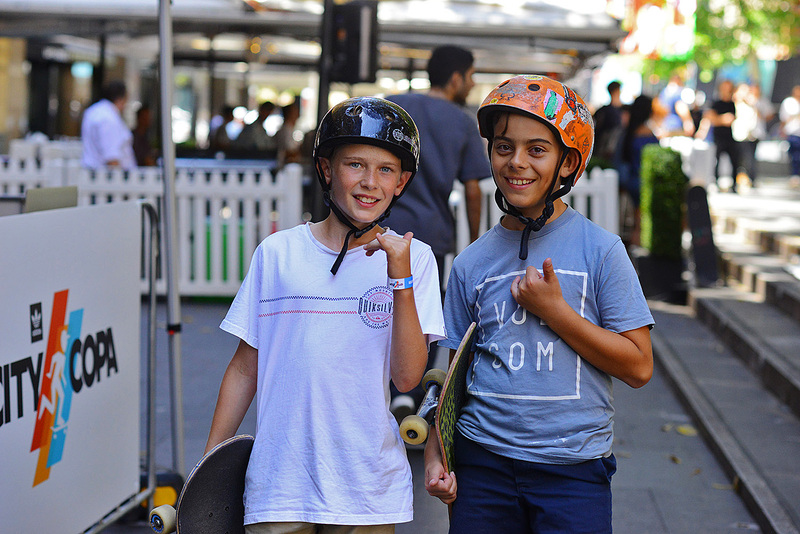 NewOld, Cannon or CanNonball, whatever you call IT, is an iconic inner-city skate spot, probably Sydney’s last Plaza spot, next to Martin Place. Before the Sydney council ripped out the manual pad, essentially gutting the spot, it was home to a massive crew of skaters and a magnet for skaters from around Australia and even the world. Like any spot really, skating there was a constant battle with law enforcement, but we enjoyed long periods of relatively uninterrupted skating for years. Added to this it was always in the shade, with a cool breeze coming up from the Quay, Maccas and a bottle shop within walking distance. You really didn’t need to go anywhere else, and for a long time we didn’t. .I forget exactly which video it was in, but Jeron Wilson back heelflipped the barrier off the kicker like it wasn’t even there, cleared it by miles. I saw that in person, crazy. I was there one day too, on an early DVS tour with just Daewon and myself, just passing through. He did fakie kick fakie manual and switch heel nose manual the whole thing, both perfect, super fast, and nobody even filmed it. Then we went and met up with the others like nothing had even happened. Crazy. 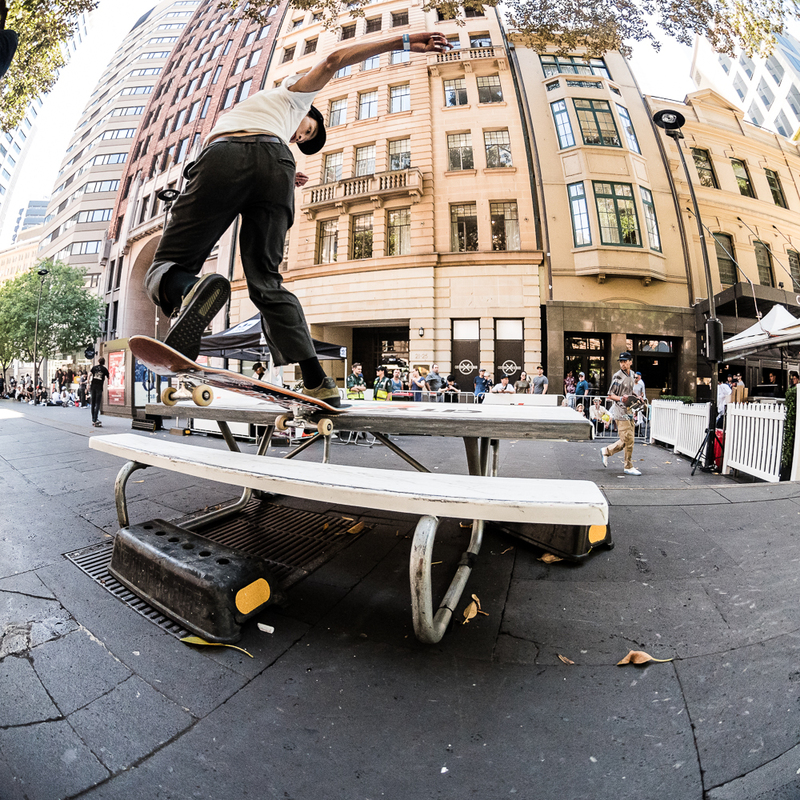 As for Australians, Cale’s nollie nose manual, nollie inward heel out. Taizo Hughes did a nose manual nollie kick out in the pouring rain, which was sick. And Connal Lo did a sick kickflip backtail on the barrier in the Play video. It was always fun down there too when people would come from out of town to skate. Ben Harriss fucked that place up, he definitely ripped it whenever he was around. I was in Japan when I heard from Sean Holland that the council had taken the manual pad out, he told me I should probably just stay where I was , no reason to come home now. And he was right I guess. A year after it was gone I came home on a visit and skated there with Teagues, and though I didn’t know him at the time, a young GetRad was down there with his crew. He reckons he saw me walk over to where the pad was and shed a tear. I can neither confirm or deny this story. 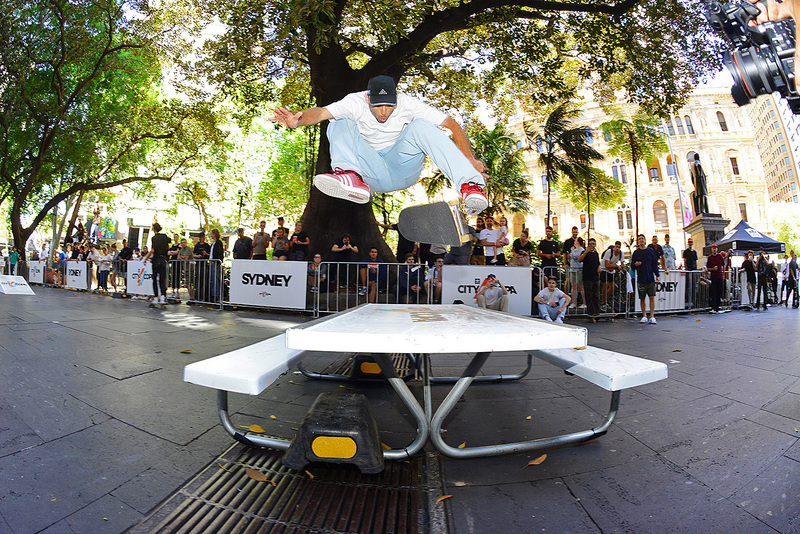 adidas Skateboarding presented City Copa Sydney this weekend in Sydney at iconic skate spot Newold. Over 150 skaters participated in the open skate session with custom built street obstacles including a replica manual pad, which was a beloved fixture at the spot in the 90’s. 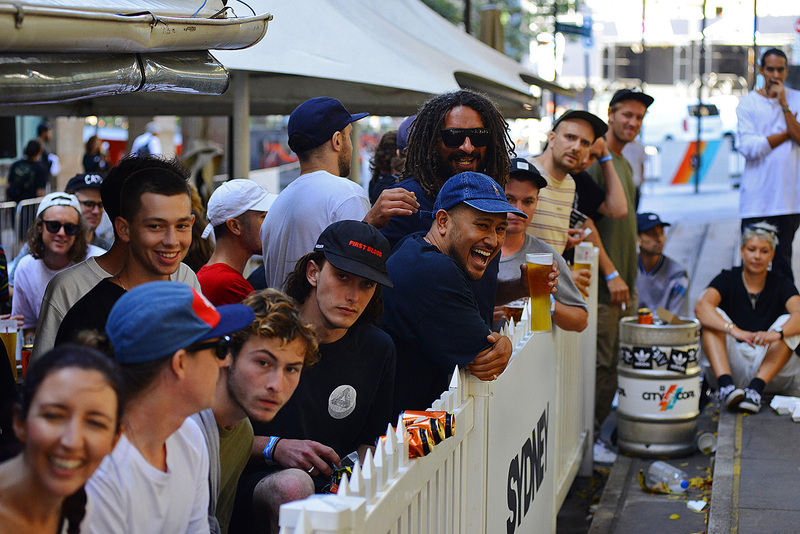 The skating community came out in force to celebrate alongside adidas Skateboarding team riders from Japan – Shin Sanbongi, Hiroki Muraoka and Kento Yoshioka and Australian team riders Dennis Durrant, Tom Snape, Gabriel Summers, Adam Davies, Ryan Wilson, Sean Parker, Jae Overton, Billy Lukins, Vanessa Miles, Justice Reid, Gary Almeida and Nat Prugsaritano. A cash pool prize of $2,500 was awarded for best tricks on the day, split across three key obstacles – kicker to barrier, picnic table and manual pad. The $500 best trick of the day prize for the manual pad was split evenly between Gabriel Summers (backside lipslide) and Corey Young (pop shuvit nose manual nollie flip) who landed the trick on the buzzer.